Bhaskar The Rascal malayalam movie to be directed by Siddique with Mammotty in lead will go on floor by mid December 2014. Touted to a complete entertainer, the movie will also have Harishree Ashokan and Janardhanan in pivot roles. 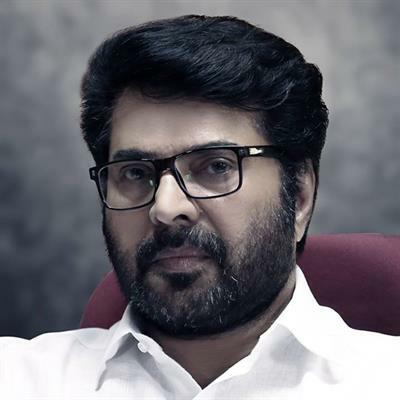 Produced by Mammootty under his own production unit Play House release, the movie will reach theatres in 2015 as a Vishu treat. After a gap of 10 years, filmmaker Siddique and megastar Mammotty are joining for a project. The movie titled 'Bhaskar The Rascal' will be complete family entertainer creamed with humour and actions at its best. With Harishree Ashokan and Janardhanan giving life to prominent roles, the movie will kick start by mid December 2014. Produced by Mammotty under his own production unit Play House release, the movie will reach theatres in 2015 as a Vishu treat. Siddique who made his last outing in malayalam with 'Ladies and Gentleman' hopes to apply his signature style in the upcoming project which will be thickly packed with extremely coloured dance, comedy and thrills. The success duo worked together for two movies; Hitler and Chronic Bachelor. Scripted by Siddique himself, the movie would be comedy crap which could entertain the spectators. Both 'Hitler' and 'Chronic Bachelor' were purely enjoyed by the audience and in turn delivered reward to the producers. Both movies were accepted by the moviegoers for its unswerving theme and stupendous performance by the actors. Meanwhile the dream combo directors Siddique and Lal are uniting for a project titled 'King Liar' which starring Dileep in lead. The story of the movie revolves around a young guy who opens his mouth only to eat and tell lies. Scripted by Bipin Chandran, this venture is planned to release during as an Onam treat next year. Siddique-Lal team had delivered hits including 'Ramji Rao Speaking', 'In Harihar Nagar', 'God Father', 'Vietnam Colony' and 'Kabooliwala'. Mammotty will join the sets of 'Bhaskar The Rascal' after the completion of his committed projects. As per reports a set worth 1 Crore has been prepared for the shooting of Deepu Karunakaran's 'Fireman', in which Mammotty plays the role of a fire rescuer. Currently shooting for Salim Ahamed's 'Pathemari', the actor has also signed for 'Dance Dance' helmed byJohny Antony, 'Driving License' by Jean Paul and an untitled project with Kamal.